Lemax Shovels & Salt Accessory depicts a shared village community salting point with salt shovels provided to aid spreading the salt on neighbourhood paths. A Lemax Village miniature accessory for placement in and amongst a Lemax Winter neighbourhood scene. An old favourite accessory added to the Lemax miniatures collection in 2006. 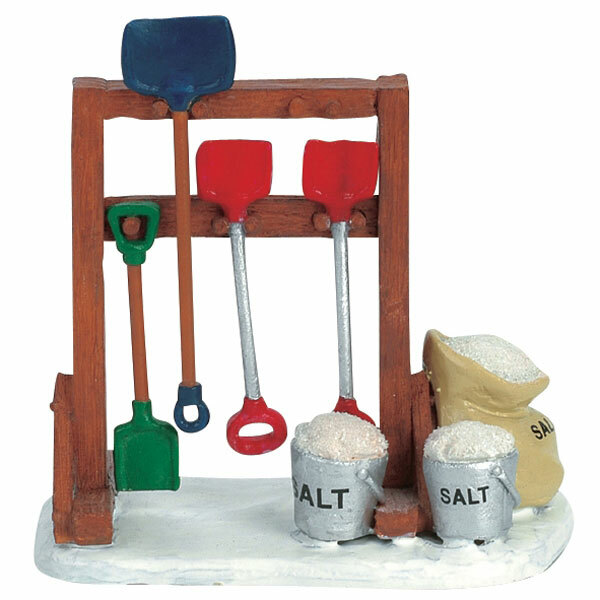 Shovels and Salt is an individual hand painted piece mounted on a snowed base to compliment your seasonal Lemax Village display.